ALBANY – Thomas E. Joyner, 90, passed away on Sunday, October 25, 2015, at St. Peter’s Hospital. Thomas was born in Oxford, Ohio, the son of the late Fred B. and Mae Joyner. He was raised in Miami, Ohio where he played high school football under legendary coach Weeb Ewbank who led the Baltimore Colts to NFL championships in 1958 and 1959 and the New York Jets to victory in Super Bowl III in 1969. He later moved to Plattsburgh, eventually settling in the Albany area. Early in his career Thomas taught political science at the Champlain Valley College in Plattsburgh. He retired as the director of Research at the NYS Public Employees Relations Board. He was a member of the International Association of Torch Clubs and the Industrial Relations Resource Association. Thomas lived a full and rich life. He had a great love of the outdoors, spending much of his time at his camp on Lake Champlain capturing the beauty of nature thru his lens. He also loved the company of his many dogs. Thomas is predeceased by his beloved wife, Olive Downs Joyner, who he married on June 27, 1953. Thomas is survived by his niece, Cathrine McKee; a nephew, Fr. Phillip Allen and by a number of other nieces and nephews. Funeral services will be held in the Hans Funeral Home, 1088 Western Ave., Albany, Wednesday, October 28, 2015, at 11 a.m. 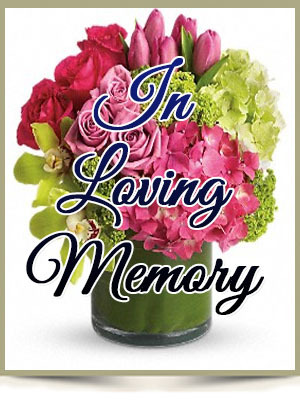 Relatives and friends are invited, and may call at the funeral home Wednesday from 10-11 a.m. Interment will be in St. Augustine’s Cemetery in Peru, N.Y. To leave a message of condolence for the family or obtain directions to the funeral home, please visit HansFuneralHome.com . Tom was a kind and gentle man who will be missed. He is also predeceased by his brother, Lee Drake Joyner. My family and I enjoyed many holiday dinners with Tom and take solace knowing he is with his wife, parents and brother. Tom was a kind and gentle man. He is also predeceased by his brother, Lee Drake Joyner. We enjoyned many holiday dinners with Tom and he will be missed. We take solace knowing that he is reunited with his wife, parents, and brother. I knew Tom as a fellow member of the Albany Torch Club. He was a gentleman, always interesting to talk with, diligent about attending meetings and asked insightful questions of the speakers. He will be very much missed. My sympathy goes out to his family and friends.